During baking or firing, porcelain and ceramic tiles change in size and shape which can create up to a 1.5% variation in size. This is normal and is taken into account during the installation process. A non-rectified tile are tiles with natural, uneven edges that require a wider grout joint. A tile that has been “rectified” will go through an additional process of mechanically finishing all the edges to ensure that all the tiles are perfectly squared, achieving a more precise facial dimension. The process involves cutting or grinding a tile to a specific size. As a result, all the tiles are exactly the same size and can then be laid with a minimum grout joint. Because the grinding or sawing happens only on the edges of the tile, rectification is considered an edge treatment. Rectifying does not affect the thickness or quality of the tile, neither making it better or worse. It simply affects the kind of edges the tile has, which in turn, reforms the rectified tile for a specific type of installation or to achieve a desired look. When do you need a rectified tile? Other than a desired look, there are typically two primary reasons you need a rectified tile. One is when you are looking for a larger tile size, anything greater than 15" or 16" in any direction. Second is when you love the look of minimal grout lines. The very thin grout line makes for an almost-seamless look, especially if you choose a grout color that closely matches the color of your tile. 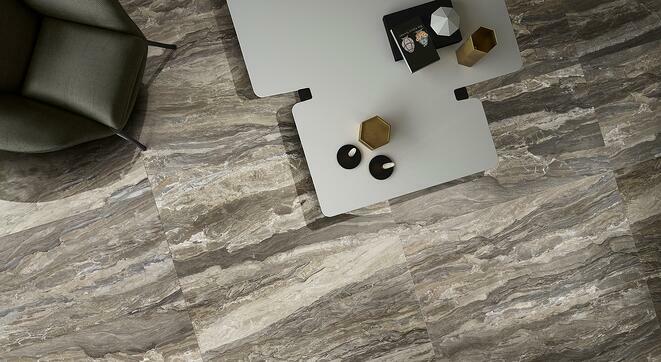 It is for this seamless appeal that these tiles are a popular trend in many homes and offices. 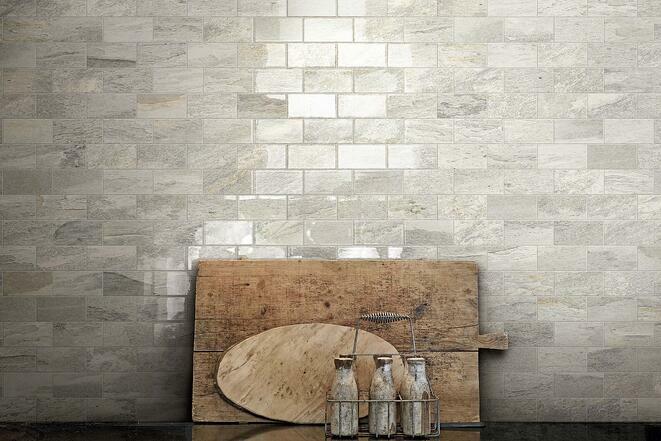 Grout-less kitchen backsplashes or walls, and bathrooms or floors having a certain sophisticated attraction. And since they have minimal space in between, rectified tiled floors and walls are easier to clean as dust and grime do not cling to the small grout lines. They produce very clean lines and a symmetrical look. Not all installers are alike. Some installers are not at ease in laying out very thin grout. But if you are after seamless grouting of your tiles, then you should specify in your contract you want a 1.5mm grout line. Be specific and don’t leave it to the installer to decide. They might install a 3mm line. You must be clear on what you want. 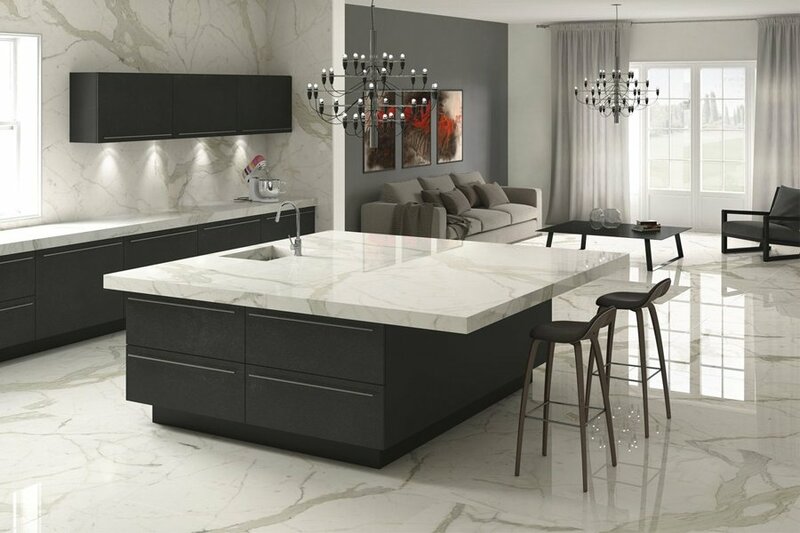 If you want a grout-less look that’s smooth and seamless or you love the look and design created with larger tiles, rectified porcelain tiles are the best to achieve this sophisticated design.